There are currently 0 users and 234 guests online. this game turned out to be kind of a mess, but i hope you do enjoy. 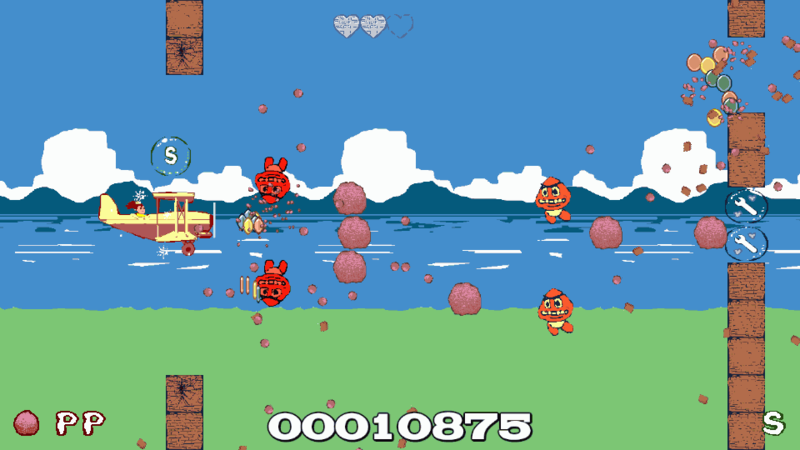 crush your enemies and collect all the coins. it's the life of a princess. you get points by collecting the coins. you lose points by getting blown up. you also lose points by getting bumped, and you lose even more points when you get bumped or blown up while you have powerups. you should collect those powerups, though, and avoid touching anything unhelpful. if you die on zero or fewer points, it's game over! theoretically, though, you can finish the game with a negative score. if you're clever. music featured is by abstraction! This is very very difficult but I really like it! I reached the second stage and died and gave up. The physics are great, and the sound effects are great. It has a nice feel. I like that the coins move towards you, but aren't automatically collected. I like the gradual speed increase. The overall difficulty makes it really satisfying when you get all the powerups and mow everyone down – especially when you know that you might mess up and lose everything again. if i come back to this game i'll make it a little bit friendlier. i like the tough-until-you-can-blow-everything-up thing, but i think with the generally sloppy level design there are some unfair moments! glad you enjoyed it, though! Short of revising the difficulty, a tiny thing that would make a big difference is a level picker or level-skip button. I wanna try to beat the second level, but I don't want to beat the first level all over again just for another try at the second level. Finishing the game is definitely doable. I'd recommend sticking with the "spaghetti" weapon if you're having trouble. ...Plus, there seems to be more satisfying explosions when that weapon is used! This game is great! The voices are a special treat. And thank you for including an auto-fire ability instead of forcing me to mash my keyboard all the time. If you do adjust the difficulty, please allow it to be selected instead of only a single, simpler difficulty level. I cannot describe to you the enjoyment my girls get out of this. And I think it's awesome as well. Sorry for the late response. Holiday craziness was epic this year. Merry Christmas and thanks for the awesome game!!! I'll have to post again when it's not 6:30 in the morning to give a more detailed list of awesomeness which this game provides!